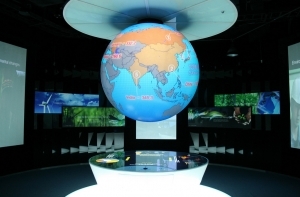 An exciting approach to understanding the Earth is offered by Global Imagination based in Santa Clara CA. This article in the New York Times describes applications in schools, museums, industry and government. 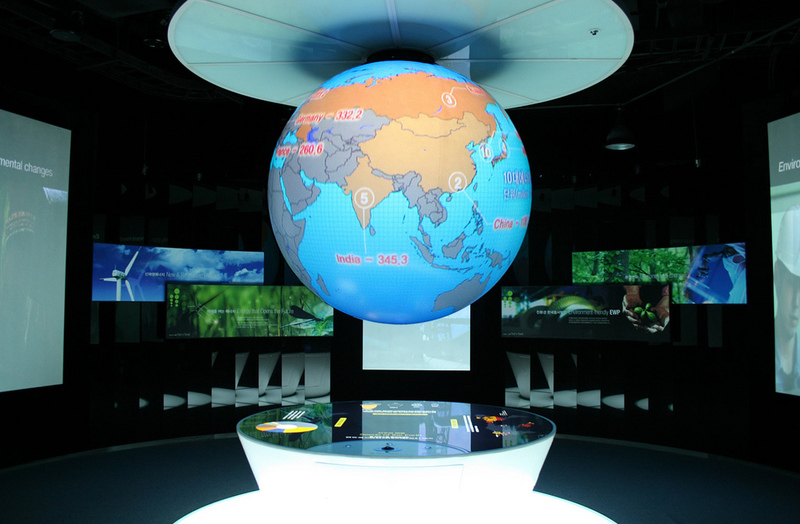 Magic Planet globes range in size from 40 cm to 3 meters with a projection system which is either built into the base or external, and software for showing or creating custom geography-based stories. China is a booming market, and worldwide the education technology market is expected to grow from 31 billion to 60 billion during the next five years. 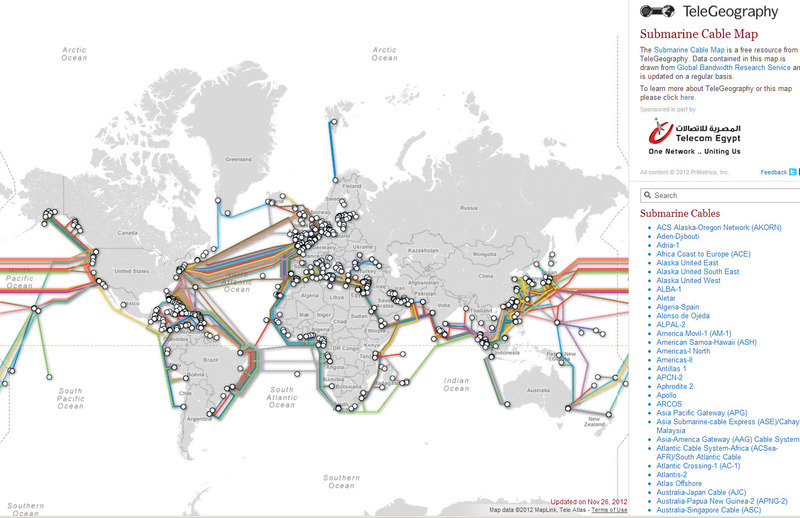 Interactivity allows you to select and isolate cities, or cable systems to get more details. 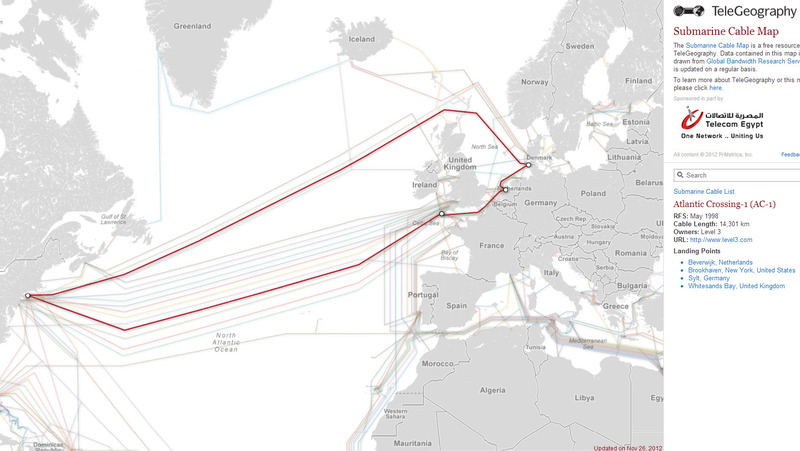 For example, this images shows the Atlantic Crossingcable which connects Beverwijk and Brooklyn. 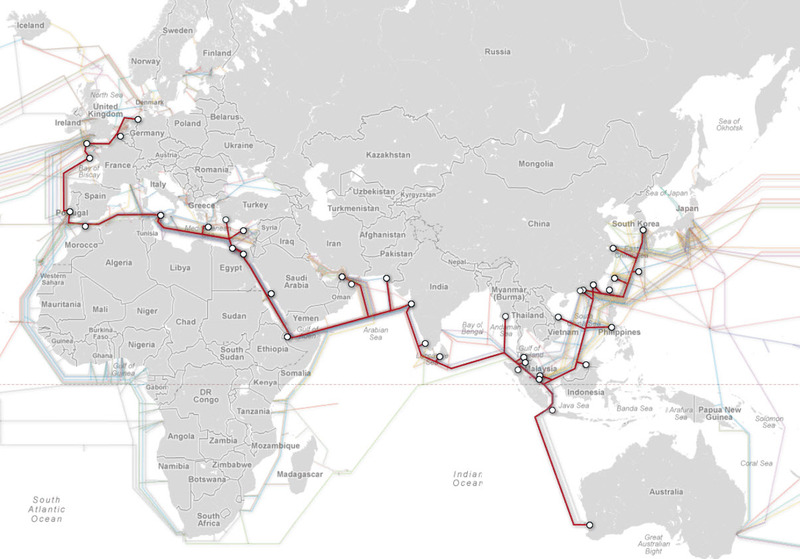 And this is the famous (and longest at 39,000 kms) system, the SeaMeWe system. Sixth Sense is a multi-component wearable multi-function device invented by Pranav Mistry, a researcher at MIT’s Fluid Interfaces Group. It was demonstrated at the TED conference in February this year by Belgian Patty Maes, leader of the MIT lab, and this fabulous video describes the various features, and potential applications. Since one of the demonstrated applications is a map interface, I’m including it here, but the coolest thing (to me), is a watch created by drawing a circle on your wrist. As I perpetually lose watches, this would be the perfect solution. Update 4/7/2018: Pranav Mistry is now head of research for Samsung. The USGS which calls itself “the nation’s largest water, earth, and biological science and civilian mapping agency” yesterday announced the availability of free vectorized topographic maps for the US in GeoPDF format. 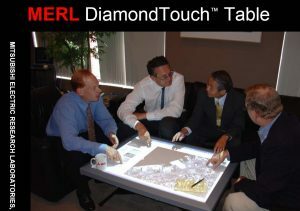 Details are on their Digital Map home page. Raster images of topographic maps have been available in GeoPDF form for some time, but the new series will include vector “layers” which can be switched on and off – contours, water, transportation, labels, etc. 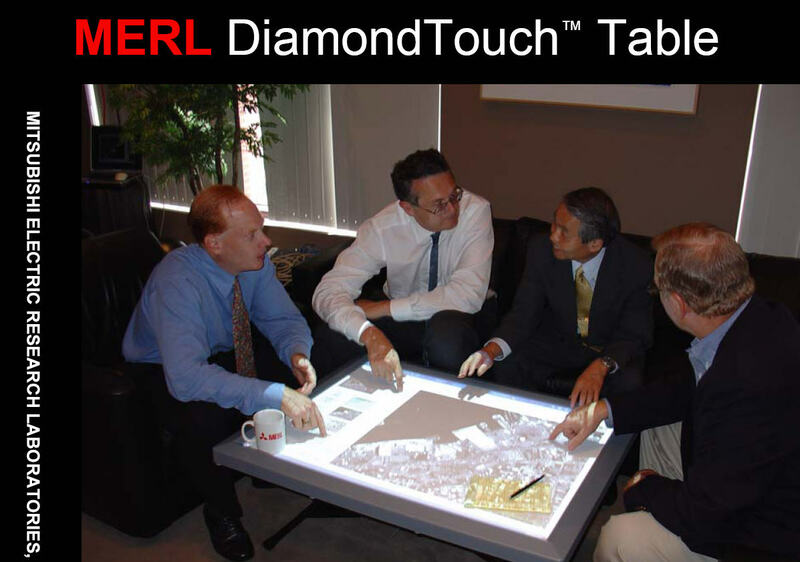 … just like a real GIS, but much easier to share. So far, only Arizona is available from the USGS, but much more will be released this year. The GeoPDF reading software (TerraGo Desktop) can be download free from the developer, TerraGo Technologies. 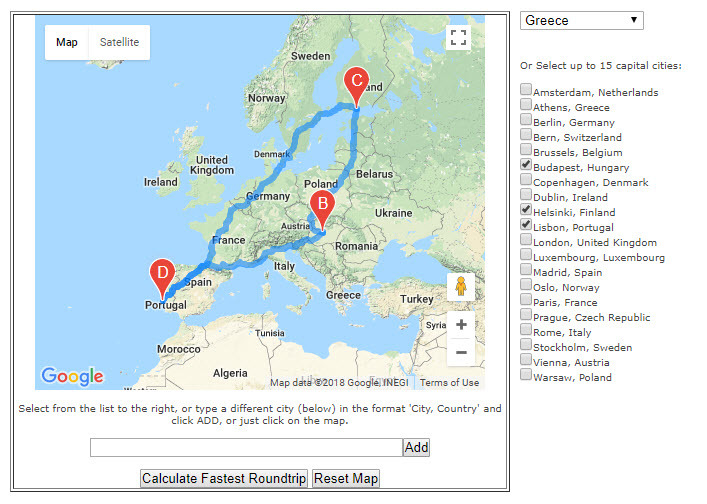 It is essentially a toolbar which is added to Adobe Reader which makes it possible to see the layers, to do a few spatial calculations (distance and area), and with a single click, hop into Google Maps. This is a fascinating development for the GIS world. 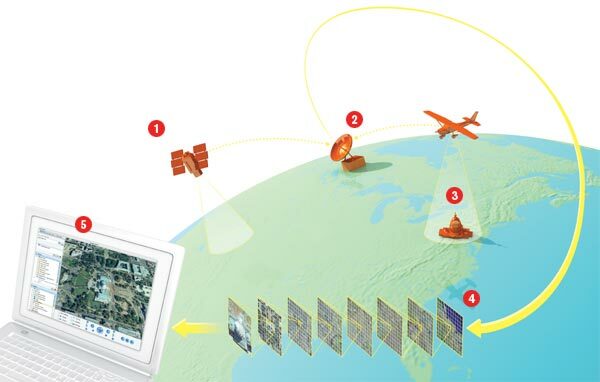 Late last year ESRI announced an extension for ArcGIS 9.3 for exporting to GeoPDF. 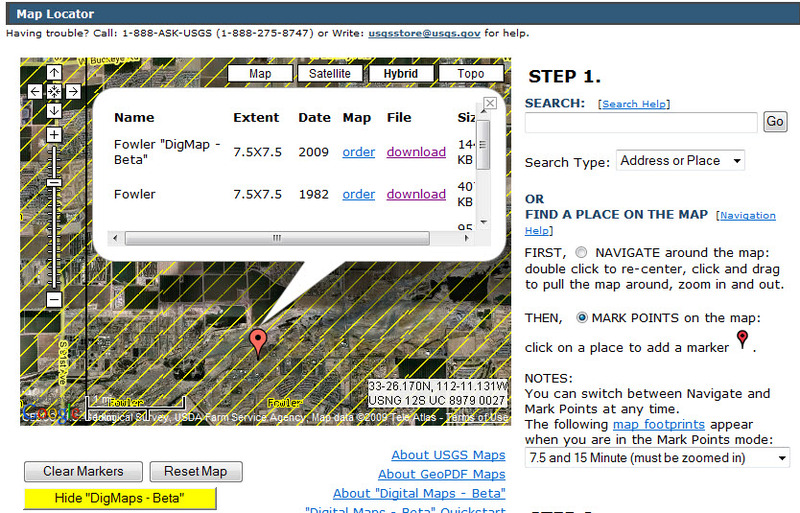 The US government is embracing GeoPDF in a big way, so little TerraGo will probably go a long way. After three venture-capital financing rounds will they go public, or be gulped by Google? 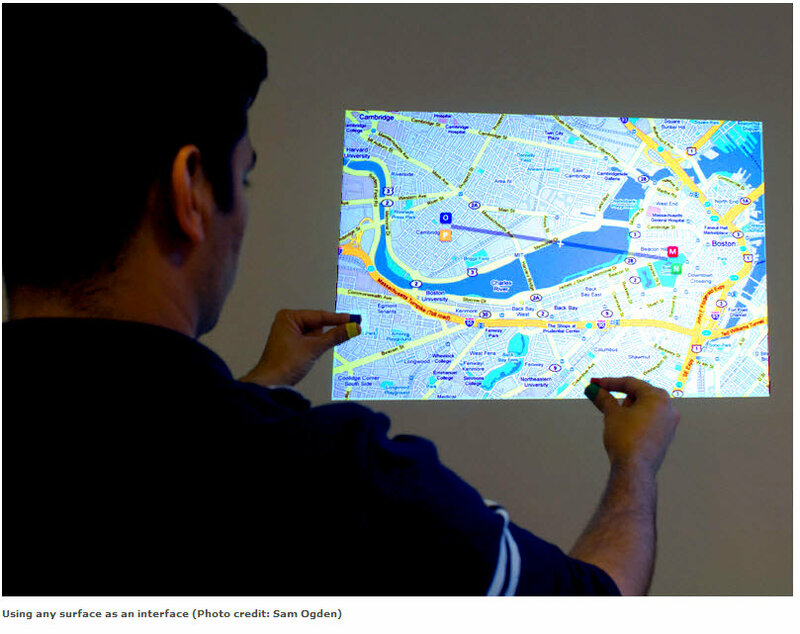 Could we be looking at the ultimate Google/GIS Mashup? More later. 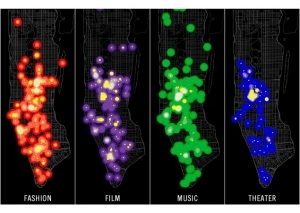 An article in the New York Times today discusses the use of a GIS spatial analysis technique referred to as ”cluster analysis” for an unusual application. 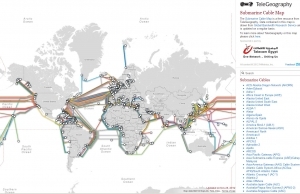 Researchers Elizabeth Currid of USC and Sarah Williams of Columbia University’s Spatial Information Design Lab presented their conclusions at a meeting of the Association of American Geographers recently. 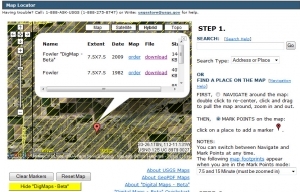 The researchers geocoded 300,000 photos and 6000 events from the Getty Imges database. With this data set, the Global Moran’s I statistic was used to find hotspots in New York and LA. The conclusions may not be so very surprising, but the use of photo media is interesting. This type of social research is likely to show up more often as people begin to mine data from geocoded images (e.g. Picasaweb and Flickr) or geotagged Tweets. The study was partly inspired the work of Richard Florida who developed the concept of the “creative class” and created a stir with Amsterdam planners at a 2003 conference titled “Creativity and the City”. 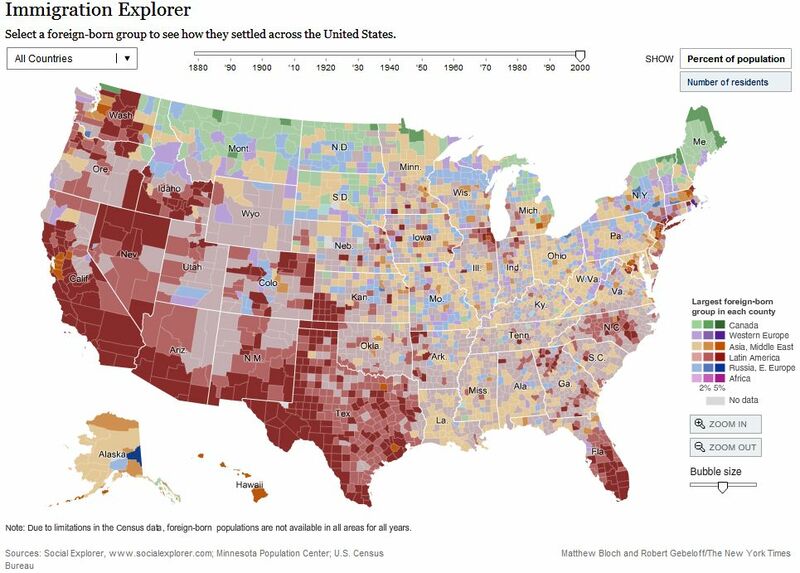 The NY Times published this Immigration Explorer interactive map with some fascinating information about immigration in the US since 1880, a great example of using Flash for visualization of data over time. 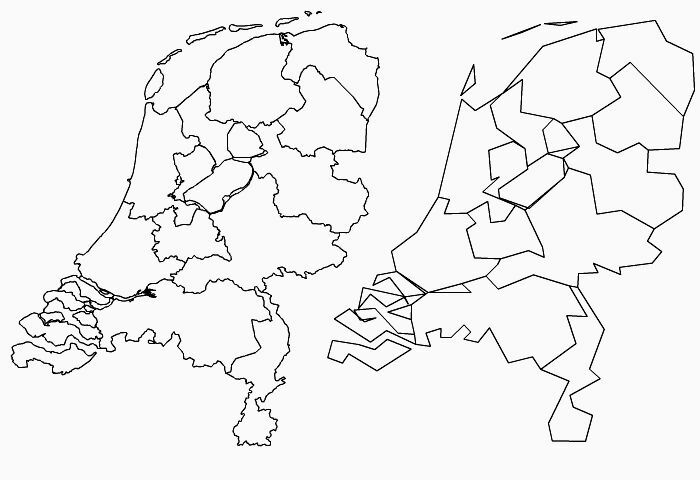 You can view populations by country of origin as well, through time, though unfortunately not Dutch settlers. Note all the Russians in Alaska! (Of course a small number, but a significant percentage.) The map was made with data from Social Explorer, which looks like an interesting service, though their pricing is not clear. Update 30/6/2018: A newer map, still using old (2007) data Migrations Mapand this good website from Pew Research showing world migration (legal)… doesn’t seem to count refugees. 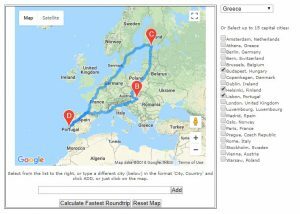 New SweetMaps application: the Traveling Salesman’s European Vacation. 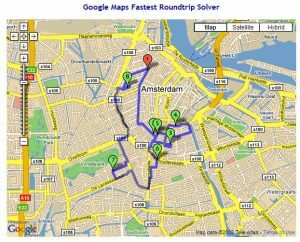 I take no credit for the original idea or clever coding of a traveling salesman program for Google Maps developed by Geir Kokkvoll Engdahl. (See my original post last month. However, while writing a research paper for a UNGIS course at the Vrij University, the idea of a sweet little application dawned on me. This is just a start… no doubt someone else could take this further. There are limitations, and it will be interesting to see if anyone uses it and whether my Google Maps API account will be overloaded. I would happily take comments, suggestions, bug reports. Update 17/6/2018: Amazingly this little PHP app still works (sort of). Try just two or three cities. The reset doesn’t seem to work, so reload the page to start over. Anyway, it was the thought that counted! Update: Engdahl updated Optimap in 2012. See his blogpost. Update Google Pricing June 2018: So much has happened to Google Maps for developers, but regarding the 10,000 hits limit, that has all changed to another pricing model. Update 16/6/2018 – new website for DigitalGlobe, more features, ask for quote.